We'll run a poll and find out. OK. But if you're running a poll I'll run a poll as well. My poll's better than your poll. It's not the future of the country. Hibs are more complicated than that. So we seek solace in our heroes. And, from Turnbull's Tornadoes, the main man. Hibs fan. Hibs player. Hibs manager. Hibs ambassador. Hibs legend. Hibs will celebrate his birthday. He'll be roared onto the pitch. Roared onto the pitch by guys that grew up with him, who saw him live their dreams. And roared onto the pitch by those of us who didn't see him. Denied by birth. Lucky enough, maybe, to see a Sauzee vintage, a Latapy vintage. Or maybe a Mowbray vintage when youth ruled the world and Rod Petrie was a younger man. We'll rely on fathers to explain to sons how good Pat Stanton was. Or, as time marches on, maybe it's now grandfathers explaining to grandchildren how good Pat Stanton was. 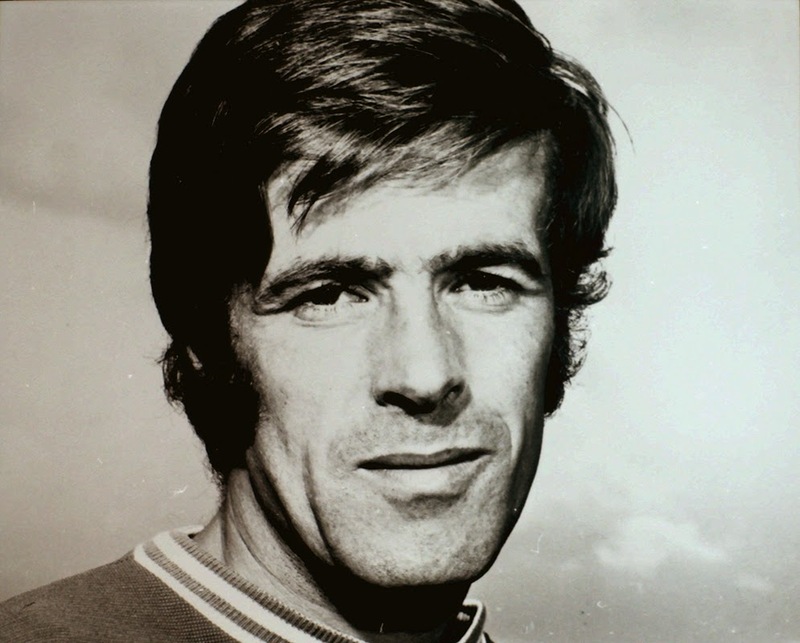 I'm too young (yes, that's true) to have seen Pat Stanton play football. Hibs sacking him as manager. That's a thing Hibs have done over the years. I remember my brother, older than me but only eight then, writing a letter to Hibs berating them for treating a legend like that. The letter would be ignored. That's been Hibs for too long as well. "How good was Pat Stanton?" My legs get a bit wobbly whenever I see Pat Stanton. He talks about Hibs - he points out what's going wrong, what could be improved, how simple steps could solve big problems. And I think "why can't Pat Stanton be in charge of everything Hibs do?" His love of Hibs comes through constantly. And maybe, as much as it's nice to dream, it's too much love to run a football club. But our greatest player? Our greatest ambassador who should have a bigger role in our Petrie-fied landscape? Greatness recognises greatness: Jock Stein took Pat Stanton to Celtic. Pat won medals, Hibs got Jackie McNamara and everyone was - eventually - happy. Pat Stanton got medals because Jock Stein wanted to sign him. That might say it all. Hibs shouldn't need to ask thousands of people to turn out for him for free. Thousands should turn out for him without the freebie. This summer he was prepared to stand up and say exactly how it felt to see his team relegated, prepared to say it because he's never lost the determination, the pain, the struggle of being a Hibs fan. He was prepared to put his head above the parapet. Not being overly political, not being particularly militant but being passionately critical as he remembered what had once made his football club a great club. The genius looking forlornly at the mess that followed him - could anybody at Easter Road use that against him? When I meet Pat Stanton I'm starstruck. Every time. And I've met him a lot. It's embarrassing for me, it could be worse for him. But that's not Pat. I really just need to look at his approach to life and study his demeanour to be reassured me that I'm just meeting a fellow Hibs fan. I'll still feel awkward though. Because I'm meeting the best of us. He's a modest man with very little to be modest about. He could scream his brilliance from the rooftops. Hibs have given their fans the opportunity to do that for him today. And, as bad as things might be, it's an opportunity that shouldn't be missed.